The Book Bond: TRIGGER MORTIS paperback: "It's very blue." TRIGGER MORTIS paperback: "It's very blue." 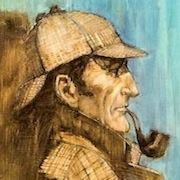 Doesn't it seem like we are long overdue for the Trigger Mortis UK paperback cover art? 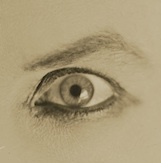 After all, the book comes out May 19. 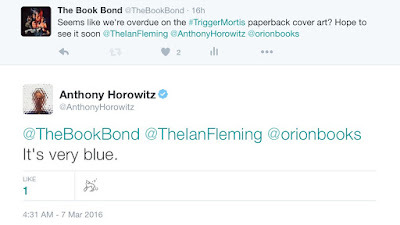 So I tweeted out this feeling to the powers that be and got this playful response from author Anthony Horowitz. Hey, it's something! And this does tell us the artwork will not be just a sized down version of the hardcover art. So this is actually kind of exciting and will hold me...for now. As for the U.S. paperback, publisher Harper Collins tells me that it is still "too soon" for the art. That edition comes out September 6, 2016.